Ok so here is the thing. 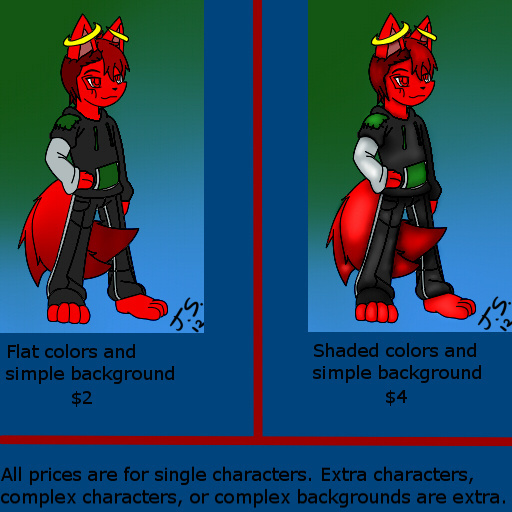 This is my first ever price sheet. I am putting my prices low because I know my work. No. I just do the colors.